Herbal infused oil There are 3 products. Dill Herbal Oil is a high quality, crude and cold-pressed product rich of unsaturated fatty acids mainly omega-3 and 6 and vitamin E (called the vitamin of youth). 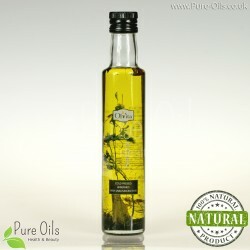 In addition this oil is distinguished by its unique dill flavour and aroma. Vitamin E content in 100g of product is 25.6 mg (including alpha tocopherol 20.9 mg). 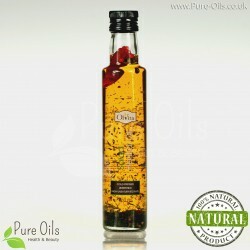 Salad Herbal Oil is a rich source of unsaturated fatty acids mainly omega-3 and 6. 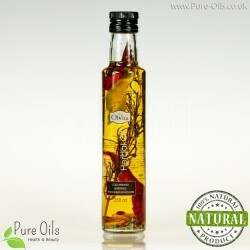 This oil is a high quality, unrefined and cold pressed product. In addition it is distinguished by its excellent herbal flavour and aroma.